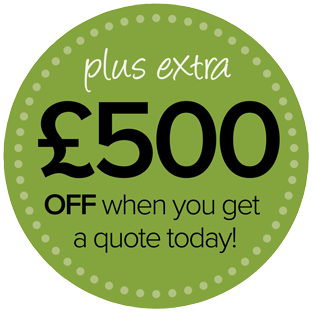 See the installation of an orangery as an opportunity to express your personality – make an indelible mark. 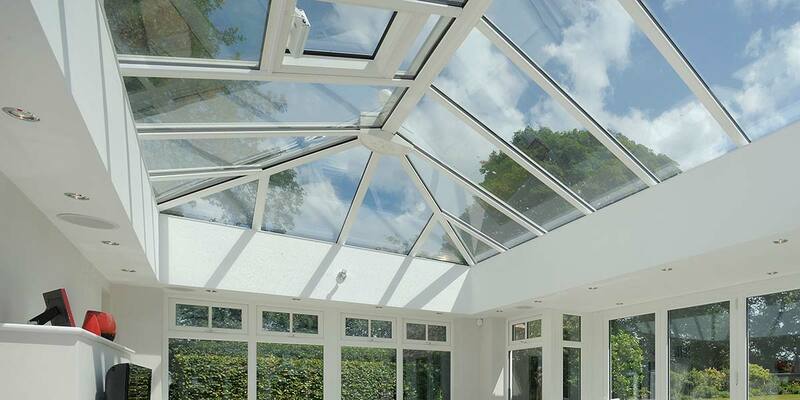 There are many good points to a standard orangery roof covering, but arguably more when you integrated an atrium roof into the design. 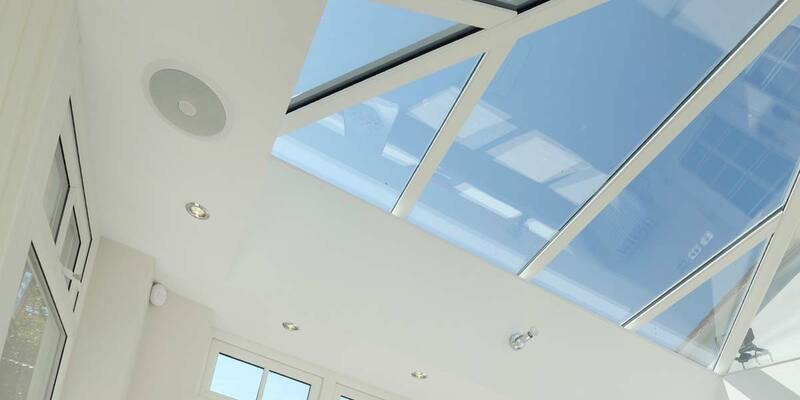 An atrium roof delivers an abundance of head room and draws in so much natural light. 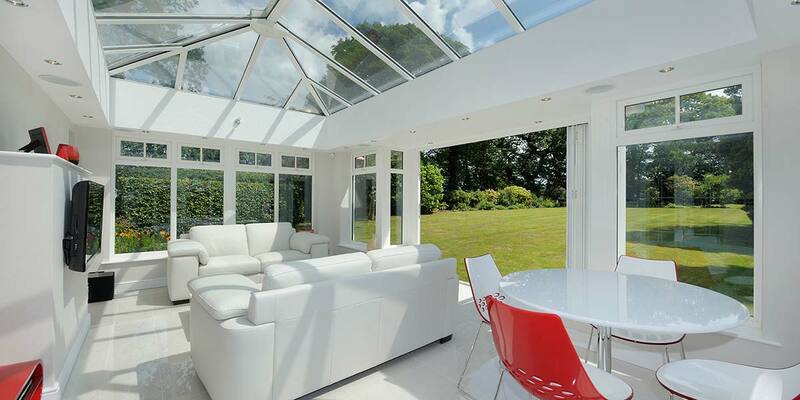 We refer to this design as an atrium orangery, though some may preference calling it a lantern orangery. 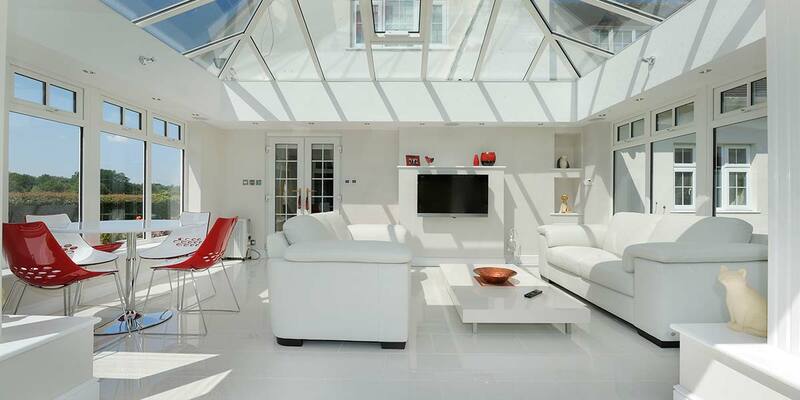 It doesn’t really matter how we tagged the design, all the occupants needed to know was that the various seated areas would be bathed with sunlight throughout the daytime. 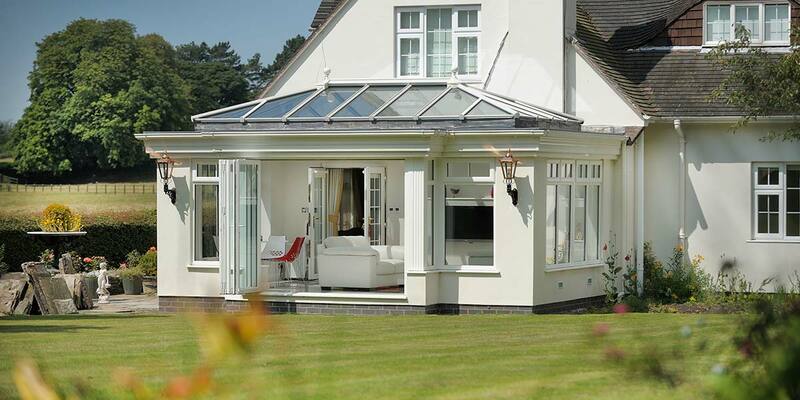 Any shortage of light outside needn’t prevent orangery usage as the downlighters can always be operated. 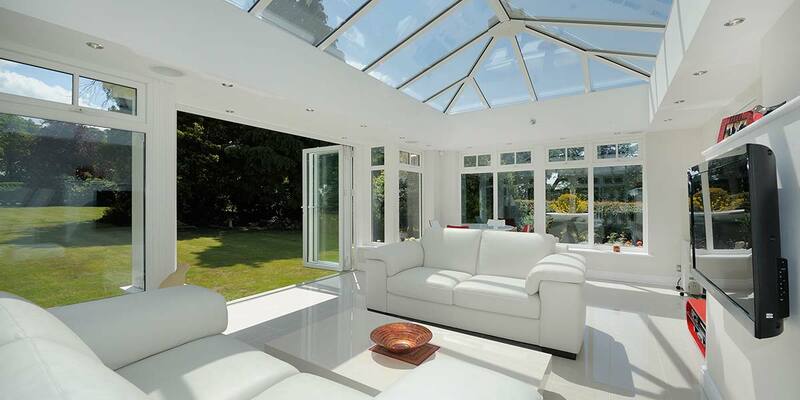 The inclusion of white coloured folding sliding doors was a shrewd addition to the orangery as manoeuvring them along the track will provide instant access to the garden. 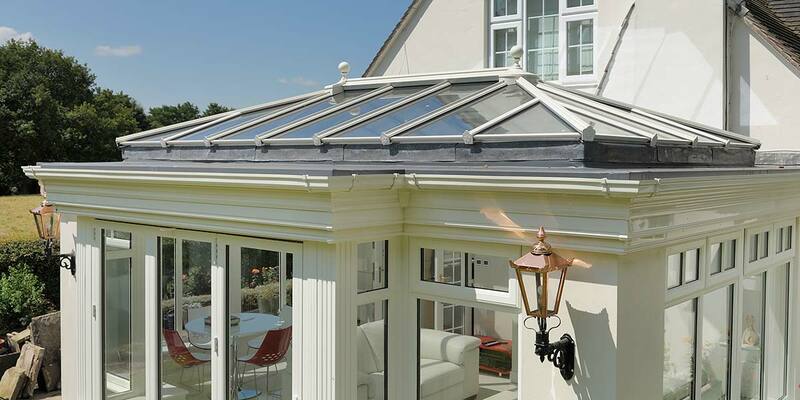 When wanting to enter the orangery from the house, the double opening offered by the French doors provides a more than sufficient opening, though since the construction of the orangery, the rest of the house isn’t utilised quite as often. 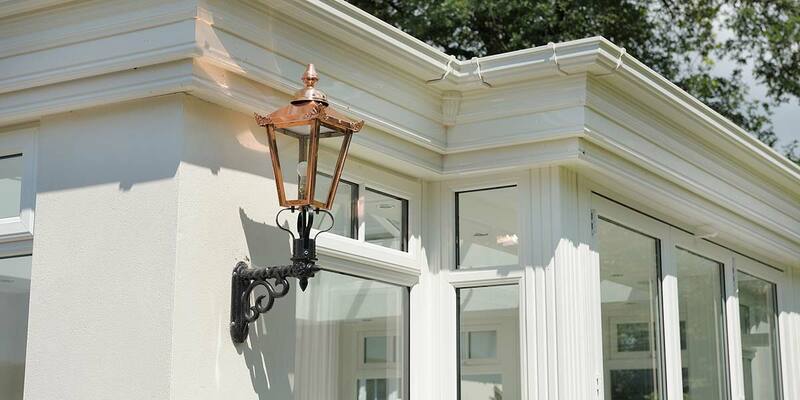 When night time comes around, the two external copper wall lanterns really shine a light on the orangery and make it glow like a beacon at the rear of the property so that it never goes unnoticed.